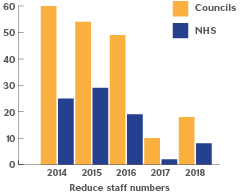 New figures show that even fewer staff than last year feel they have sufficient time to carry out their work effectively. 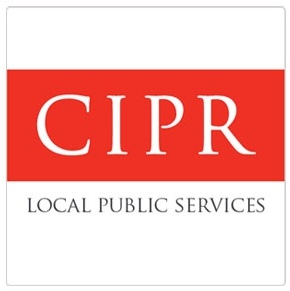 Research carried out by LGcommunications and Panacea Software shows that 66% of communications teams feel over-stretched, compared with 62% in 2016. Deep funding cuts in 2014-2016 led councils to slash staffing levels in their communications teams. Figures for the next twelve months are not so alarming, but resources are already spread paper thin. Trends within the NHS are similar, even if the numbers aren’t quite so drastic. Despite these cuts, 90% of respondents still feel their team is effective in their work – in spite of less than a third of their time being spent on work required to meet their core objectives. Worryingly, though,over two-thirds see their job becoming harder in the face of further cost-cutting measures, with an even higher proportion fearing that future cuts will affect their ability to deliver a high-quality service. Overall job satisfaction hovers around the 50% mark with an encouraging 67% feeling valued by their management team. Against this backdrop, savings are still being demanded of councils, with 61% of communications teams eyeing yet smaller budgets. While staffing cuts are still on the table, the capacity to further pare away numbers has shrunk as departments have already been cut to the bone. So councils must search for creative solutions if they are to maintain service levels and the morale of their existing staff. The research sought to drill down into how communications teams structured their time and the strategies they propose using to better meet their obligations and targets in the current climate. That more than two-thirds of personnel’s time is diverted from core objectives must raise alarms when so much more is required by so many fewer. Departments need strategies and tools to redirect their focus. The following table shows the top ten different ways communication teams will seek to meet their targets in the coming year.